The D Series provides WiFi controllable smart heating with a dramatic graphite finish - the perfect choice for contemporary homes. 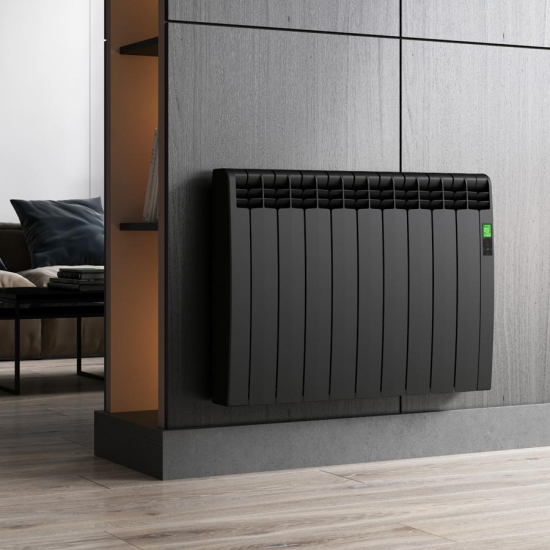 Featuring an intuitive interface, the D Series can be remotely controlled via the Rointe Connect app - allowing you to check consumption statistics and program your radiators with ease. This version of the Rointe D Series is finished in a subtle graphite grey, however, we also offer the D Series in white for an understated but equally sophisticated finish. Each D Series radiator comes with a 3 Year Manufacturer’s Warranty on the electronic components and a generous 20 Year Warranty on the heater body.